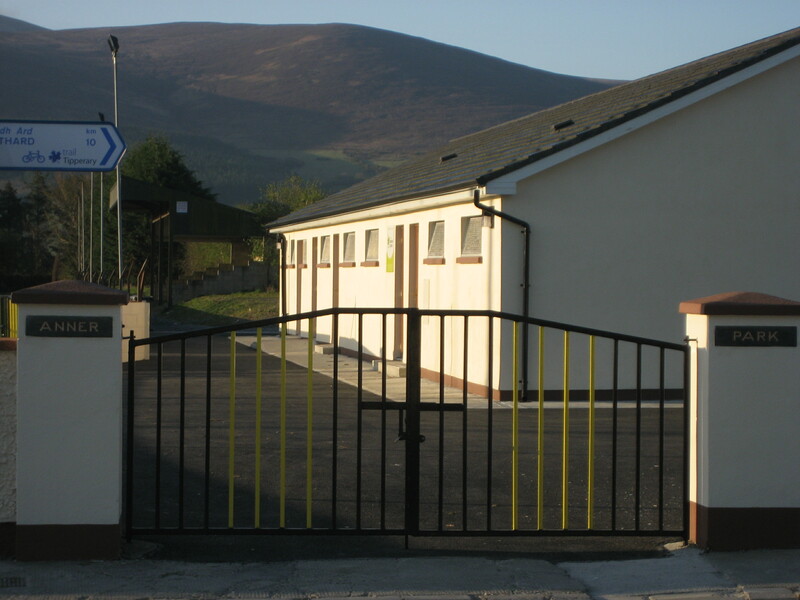 It is great to be writing about this, the ‘opening’ of the new completed dressing rooms in Anner Park, Cloneen. A lot of hard work has been done over the last 3 years and a lot of generosity has been shown by the people of Drangan and Cloneen, aswell as people from outside our parish. Due to this we are happy to report that the new building will be opened on Sunday evening May 16th with a challenge between the U21 hurlers of Tipperary and Kilkenny, scheduled for a 19:30 throw in. The last 3 years have been all go for the development committee. Many hurdles arose over the period but were cleared due to every member putting their shoulder to the wheel. To have the job completed and paid for within 3.5 years is a testament to dedication of the committee and again to the generosity of the people of the parish. We would like to thank Thomas Anglim and Kilknockin Construction for the excellent and professional job they done. We are now looking forward to the opening and seeing Tipp & our near neighbours Kilkenny cross swords in an U21 hurling challenge. We hope people will come and see the match and have a look at the fine new building which will be great asset for our club in the years ahead. See some more external photos of new building in our flickr stream, ride hand side colmun! This entry was posted on April 19, 2010 at 11:20 am and is filed under Development, Hurling. You can follow any responses to this entry through the RSS 2.0 feed. You can leave a response, or trackback from your own site.